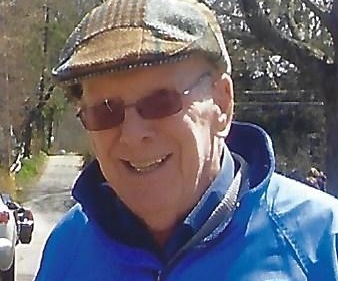 Paul W. Devlin, age 86, formerly of Scituate, passed away at his home at Linden Ponds, Hingham, MA on January 18, 2019. He was the devoted husband of the late Julie Henderson Devlin for 57 years. Brother to Rosemary Walsh and the late Edward Devlin. Father to: Paul W. Devlin, Jr., Julie Devlin Sean Devlin, Ellen Kennedy, and Michael Devlin and a grandfather to 9 grandchildren. Paul was a fun loving, loyal and humble man, who always had a kind word or joke to share. He loved his family and knew no strangers; strangers to him were friends he hadn’t met yet. He enjoyed time with loved ones, chatting about the latest news, watching sports, listening to music and keeping up with the latest movies. Paul will be remembered and missed dearly. Donations in his memory may be made to: Linden Ponds of Hingham Student Scholarship Fund. Services were private.